For nearly 30 years, Computer Pro has assisted the United States’ most renowned companies with the sourcing, design, and implementation of IT systems, storage solutions, networking, and more. 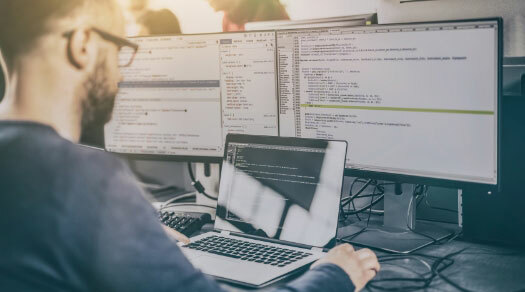 We specialize in the development of customized solutions that meet the most challenging needs, including large-scale servers and render farms, company-wide employee workstation systems, and custom OEM solutions. We are a product sourcing partner, helping businesses across the country design and develop technology solutions. Computer Pro assists premier corporations with the design and implementation of servers, specialty workstations, JBOD storage solutions, networking products, and other IT solutions. For 30 years, our clients have trusted our expertise in identifying computing and storage solutions that allow them to run more effectively, protect their data, and tackle even the most demanding projects. We partner with Western Digital, Intel, Dell, Raritan, and other top-tier manufacturers and suppliers of OEM equipment to design and develop IT solutions that enable our clients to attain the operational efficiency they need to rise above their competitors. Our IT setup and maintenance services ensure that you maximize the value of your processing, storage and network solutions. While we create IT solutions that are designed to last, ensuring optimal performance requires proper installation and maintenance. Computer Pro provides on-call and continuous IT setup, monitoring and maintenance services that ensure that your computing, server and networking equipment continues to deliver the performance you paid for. Maximize the value of your technology systems while reducing the load on your in-house support by choosing Computer Pro as your IT partner. By leveraging our in-depth understanding of advanced technological solutions, we can minimize system downtime and mitigate costly operational inefficiencies over the entire operational lifetime of your IT systems. Success built on a nearly 30-year reputation of service. 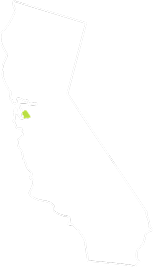 Founded in 1991 in Fremont, California, Computer Pro began as a small business providing retail computing services to the local business community. Our reputation for dependability and a high standard of customer care has helped us grow to become a trusted nationwide provider of IT solutions to some of the respected corporations and OEMs in the nation. © 2018 Computer Pro. 4456 Technology Dr., Fremont, CA 94538. 510-490-8118. Design by Post Modern Marketing.